National research funding agencies from 11 European countries plan to require all publications resulting from work they fund to be published in open access journals starting in 2020. This week, national research funding agencies from 11 European countries announced the launch of “Plan S,” an initiative that will require all publications resulting from projects they support to be published in “compliant” open access journals or platforms starting in 2020. The group implementing the plan, known as “cOAlition S,” includes leading funders such as UK Research and Innovation and the French National Research Agency. The plan also has support from the European Commission and European Research Council, although several prominent national research agencies have yet to sign on. Meanwhile, some major journal publishers have warned the plan could upend the scientific enterprise and impinge on academic freedom. 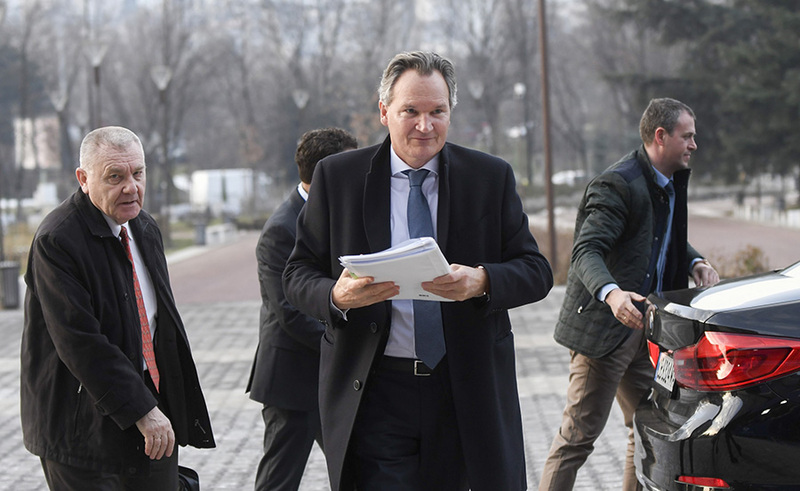 Robert-Jan Smits, who is serving as the open access envoy for the EU, has spearheaded the development of Plan S in collaboration with Science Europe, an advocacy organization that represents European national funding agencies. Championed by former European Commission Director General for Research and Innovation Robert-Jan Smits, Plan S is designed to achieve the European Union’s goal of implementing by 2020 full open access to the results of all publicly funded research immediately upon its publication. The plan also complements broader efforts underway to encourage a transition toward open science practices through the EU’s next flagship R&D framework program, Horizon Europe. Smits has said he drew inspiration from the Bill and Melinda Gates Foundation, which since 2017 has required articles resulting from research it funds to be made open access upon publication. That policy has led several prominent journals to offer immediate open access publication options, although Science has since ended its pilot agreement with the foundation. Plan S will effectively prohibit grantees from publishing in thousands of journals, including many top-tier outlets such as Nature and Science, unless the journals change their open access policies. Currently, many journals only make their articles freely available about an embargo period. Funding agencies and universities implementing the plan will pay the article processing charges associated with making publications open access at an amount that is “standardized and capped” across Europe. Other principles in the plan include stipulations that authors retain full copyright to articles and that funders develop incentives for supporting new open access platforms and police non-compliance with the plan. [Publishers] simply have their own agenda, and so do I. They tell me that ‘we can only flip to open access if the US and China are on board too.’ But it’s a bit like tackling climate change — someone needs to take the lead. Smits also attributed some blame to universities, saying they are “obsessed” with using journal impact factor metrics to make recruiting and promotion decisions. “It should not be important where you publish, but what you publish,” he said. Several prominent EU national funding organizations have yet to sign on to the initiative. For example, while the German Research Foundation has welcomed the coordinated approach toward adopting open access, it has expressed concerns the new mandates could increase article processing charges and would require "fundamental changes to the system by which reputation is created and research success is rewarded away from indicators such as journal impact factors." The Swiss National Science Foundation has also refrained from signing on despite expressing support for the effort. The agency noted in a statement that it introduced an open access policy earlier this year that differs from Plan S in that it allows grantees to publish articles in subscription-based journals and then later make them available on open access platforms. “Above all, it is vital that researchers have the freedom to publish in the publication outlet of their choice,” the group emphasizes, objecting to the plan’s opposition to publication in hybrid journals. It also argues that capping article processing charges would further restrict researchers’ publication choices and could undermine research quality. Publishers support a move towards full and immediate access to research publications where this is desired, but urge that this needs to be fully funded; in the absence of adequate funding, a transition to Open Access as envisaged by cOAlition S is unlikely to happen in practice. Disclosure: AIP is supported in large part through revenues generated by AIP Publishing, an independent, nonprofit subsidiary of AIP that publishes scholarly journals in the physical and related sciences.